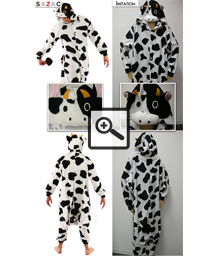 Kigurumi Shop is the exclusive North and South American distributor for SAZAC, Japan's most respected and successful Kigurumi manufacturer. 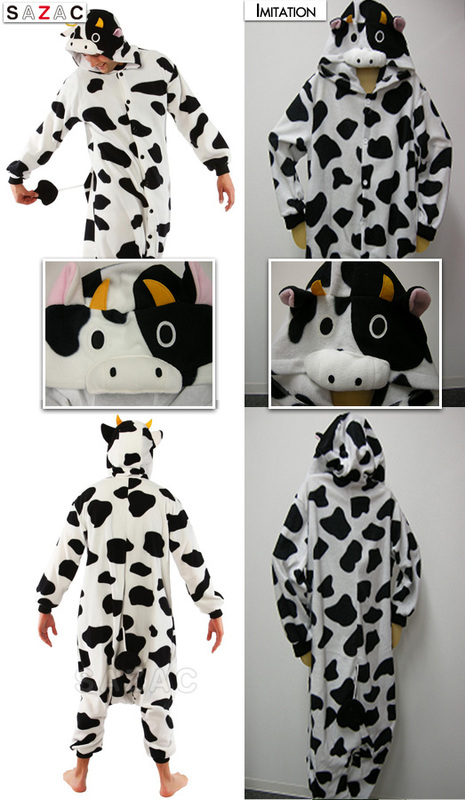 The quality of SAZAC Kigurumi is unmatched by imitations. 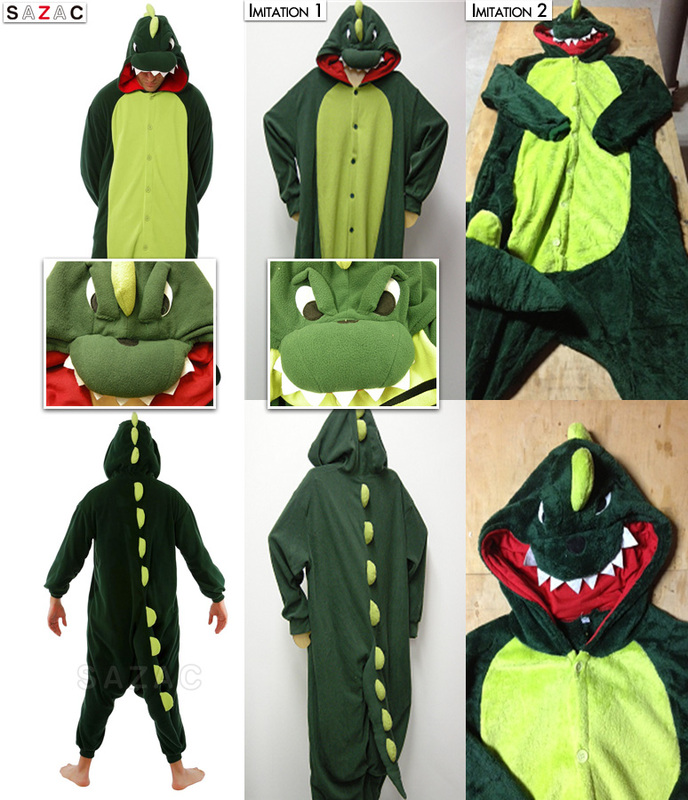 Attention to important details, such as a symmetrical face, is central to all of our Kigurumi designs; and SAZAC's quality fabric ensure that your Kigurumi will last. You won't find such purr-fection with the copycat brands. 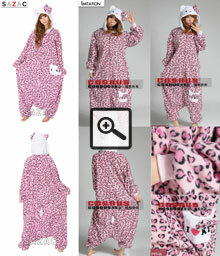 SAZAC Kigurumi are made to withstand the wildest parties and the most intense cuddles. 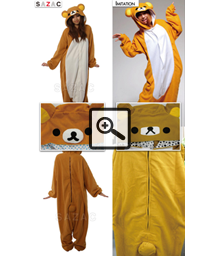 Check out our Instagram Page to see fan-submitted photos of SAZAC Kigurumi in action. 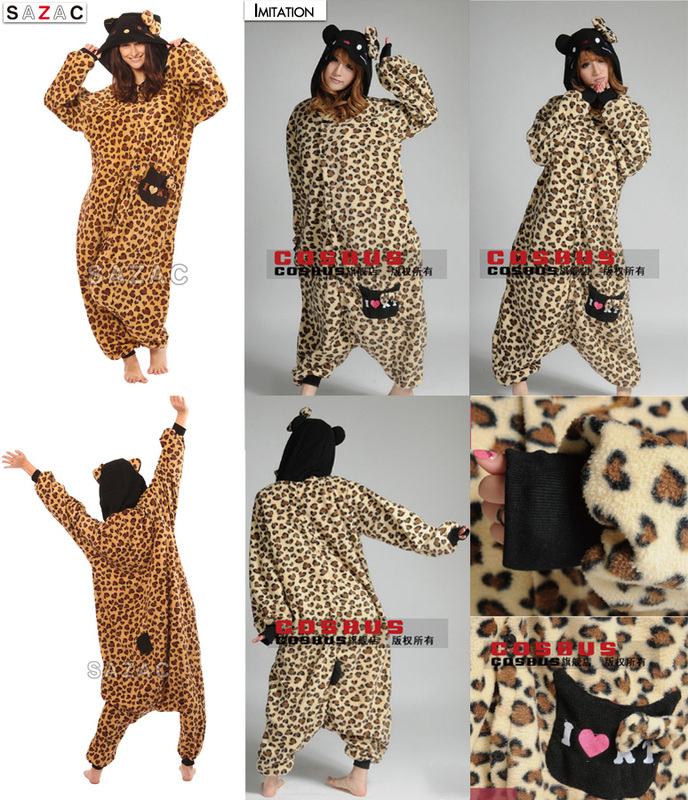 Peruse our official SAZAC Kigurumi onesies and find your inner animal! Kigurumi Shop provides the highest quality animal onesies for you to wear and enjoy, but not all onesies are made equally. 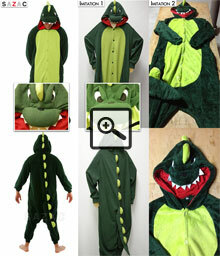 You may find imitation Kigurumi that copy SAZAC's Kigurumi designs but do not match SAZAC's quality. 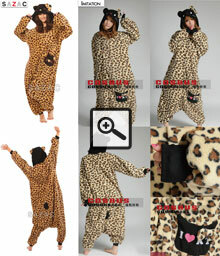 Most of the fake kigurumi out there use thinner fabric and are poorly sewn, and will not last like a SAZAC Kigurumi. Also, it's possible that these counterfeits have yet to be tested to meet U.S. safety standards. 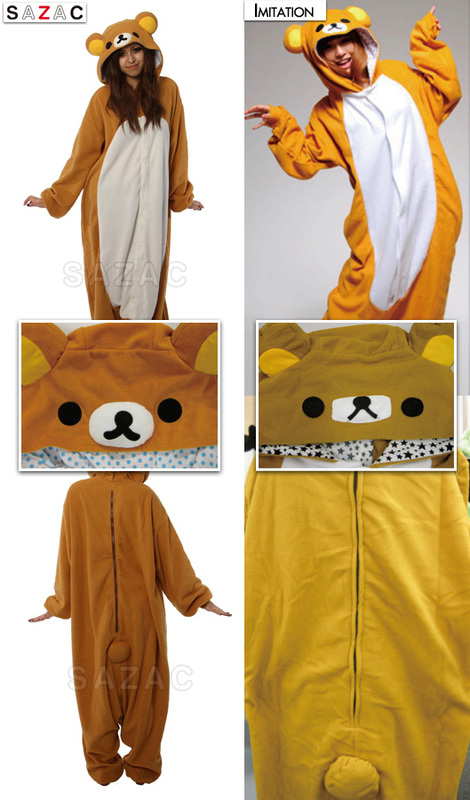 If your Kigurumi is being shipped directly from China or Hong Kong, be careful -- there's a good chance that it's a counterfeit. 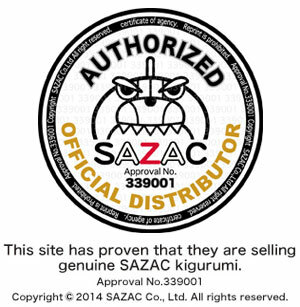 You can always be sure you are purchasing a SAZAC onesie by looking for the SAZAC name tag, buying from our online store at kigurumi-shop.com, or visiting any of our retailers, listed here. 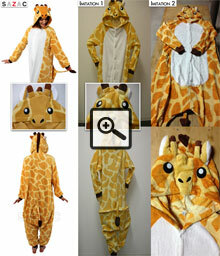 The lack of quality in counterfeit Kigurumi is plainly visible. 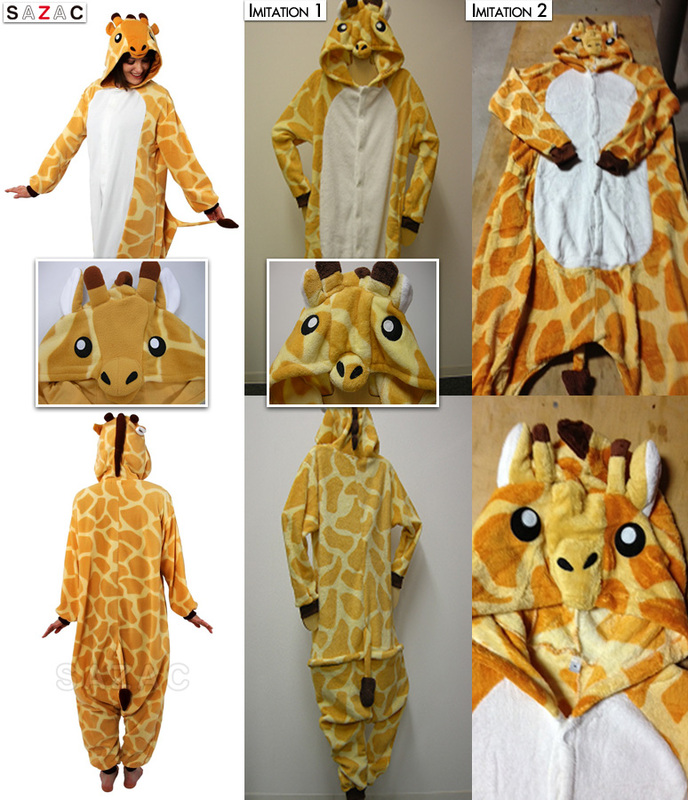 Note the difference in fabric, the stitching at the back of the hood, the dingy color, and the lack of symmetry, especially in the counterfeit giraffe - the poor cross-eyed thing.